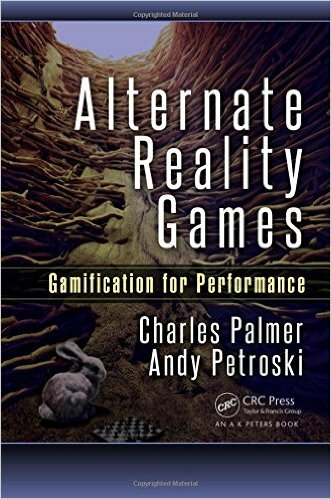 The book is a culmination of the authors’ experience building Alternate Reality Games (ARGs) and teaching Serious Game concepts over the past seven years. 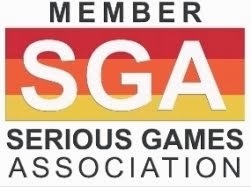 Presenting a thorough examination of the benefits ARGs can provide in the business environment as well as methods for creating effective ARGs, Alternate Reality Games: Gamification for Performance is an ideal reference for business leaders considering games to improve performance. The book leads you through the fundamentals of ARGs, citing examples and identifying business challenges that can be addressed through them. It presents case studies that illustrate the variety of forms that ARGs take and the issues to which they can be applied, such as improving performance and critical communication situations. It also provides guidelines for creating your own ARGs. “An exciting thing about ARGs is that they can be easy to implement in terms of resources needed, providing a big impact with minimal effort,” says Petroski. According to the two faculty members, Games have the potential to change how businesses train employees and cultivate skills in the workplace. “Harrisburg University’s Center for Advanced Entertainment and Learning Technologies has been on the forefront of ARG use in the public sphere,” says Palmer. According to the authors, businesses and universities are using ARGs for orientation, training and collaboration exercises. They are using ARGs to take advantage of the story, collaborative gameplay, and the combination of physical world and digital experiences as part of learning activities. Players must discover facts, find resources, and collect assets to compete in the game and, by doing so, they evaluate information and data, connect with new people and learn new skills. The realism of the story is strong at the beginning of the ARG. 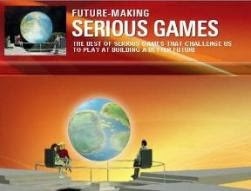 The player might not be sure whether he or she is even playing a game. The realism may fade as the interaction with content and the level of activities in the game increase, but the story is always there and remains a central part of the player’s experience in the game. The ARG experience can take place over a series of days, weeks, or months depending on your goals, audience, and budget. Charles Palmer is a faculty member and administrator at the STEM focused Harrisburg University of Science & Technology. As the Executive Director of the Center for Advanced Entertainment and Learning Technologies (CAELT), Charles Palmer serves as an Associate Professor in the University's Computer and Information Sciences undergraduate program, coordinates the undergraduate Interactive Media program, is an adviser to the Learning Technology Masters of Science program, coordinates the High School Gaming Academy, and mentors students on research projects in the fields of Augmented Reality and Interactive Games. Andy Petroski, Senior New Product Development Consultant at Harrisburg University of Science & Technology, is a renowned expert in Advanced ID & Curriculum Design, Serious Games, and Emerging Technologies, having designed technology-based learning experiences in education, corporate learning, multimedia production firms, and independent consulting environments over the last 18 years.